Graham is a Partner in our first tier Property Litigation team and he specialises in property portfolio management. 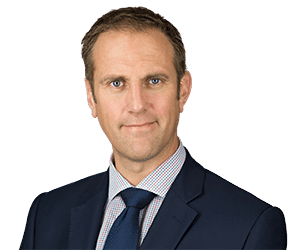 Graham’s expertise includes working with national property investors and retailers including Burger King, Mapeley, Brandon Hire, and off shore property investment trusts. Graham is ranked in Chambers who comment “He is expert in handling lease renewals, dilapidations, and disputes concerning investment property.” Graham’s other notable cases at present include disputes concerning easements, prescriptive rights, forfeiture and unlawful alienation of leases. Graham joined Clarke Willmott in 2005 as part of a team of ten joining the firm from Pinsent Masons. Graham is a member of the Property Litigation Association. He is a regular speaker at conferences and has lectured on dilapidations, disclosure in litigation and withholding consent to assign and sub let leases. Working with a property investor to clear a site of multiple leasehold occupiers to allow the grant of a new lease to a supermarket. Possession was secured using a combination of negotiated surrenders and lease forfeitures. Forfeiture. Acting for a national charity Graham secured possession of club premises following a 3 day trial. Forfeiture was based on breach of various club rules including the admission of non members. Lease renewal. Graham manages a large portfolio of opposed and unopposed lease renewals. Current cases include proceedings where the landlord is proposing to redevelop the premises, occupy the premises himself, or is offering suitable alternative accommodation for the tenant. Dilapidations and Jervis v Harris claims. This case study looks at the use of the Jervis v Harris clause in a lease (serving landlord’s notice of intention to repair) to ensure the tenant undertakes works before the end of the term thereby allowing the landlord to avoid s18 diminution in value arguments.